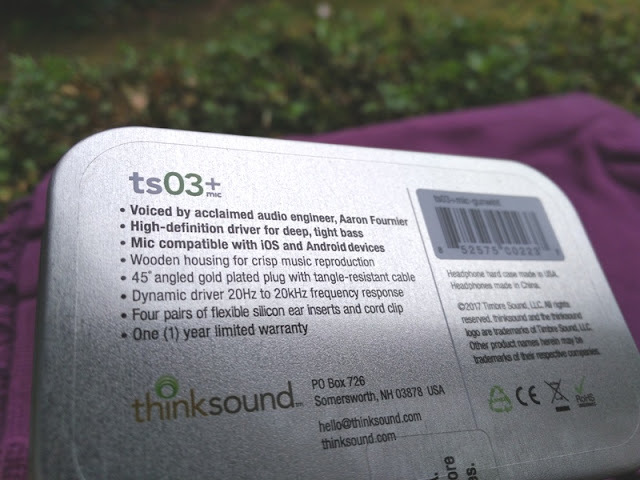 Thinksound TS03+mic Wooden Earphones With Play Pause Control! 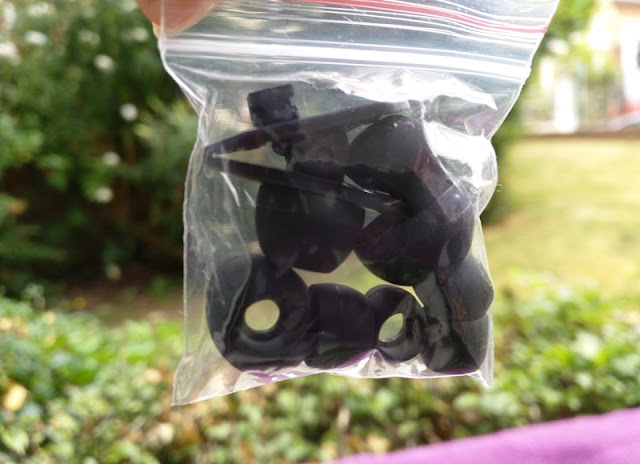 Looking for a pair of in ear monitors with a lot of detail and really good bass? 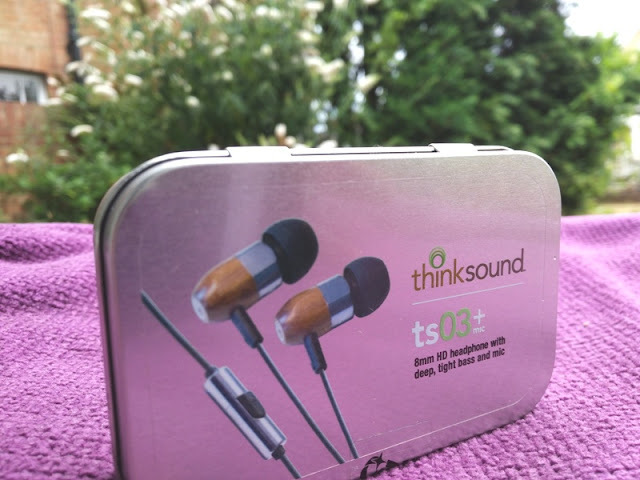 Check out the TS03+mic wooden earphones by ThinkSound! 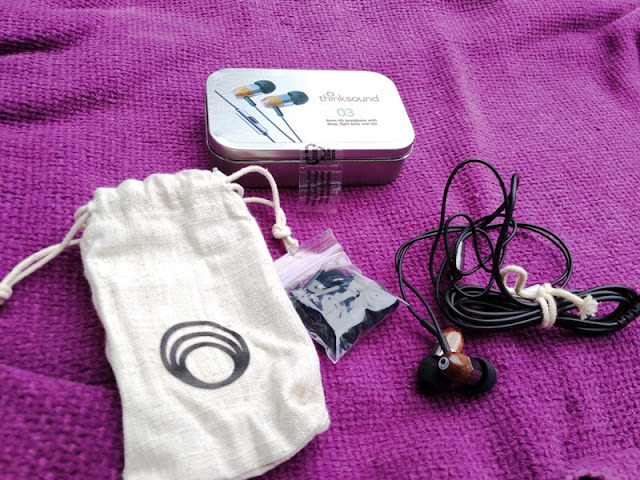 The TS03+mic earphones come packaged inside a little cotton drawstring pouch and tin box, which you can use as a hard case for storing the earphones when traveling around. 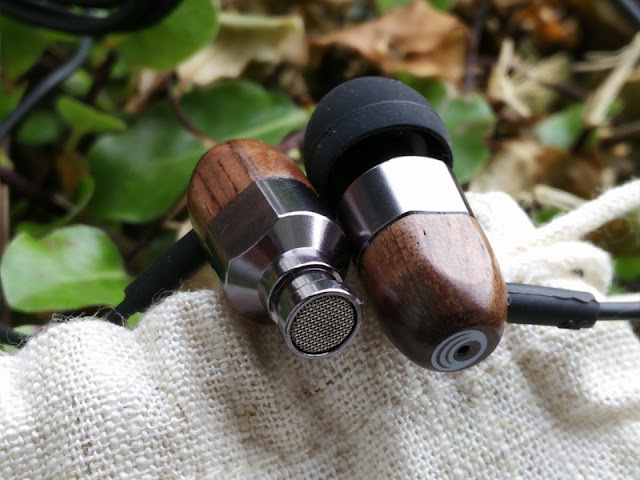 The TS03+mic in ears are made of real wood, weigh only 10 grams and look really nice! The TS03+mic have a similar style to the Rain2 earphones though the TS03+mic have an ergonomic housing that makes the earphones more comfortable to grip with your fingers. 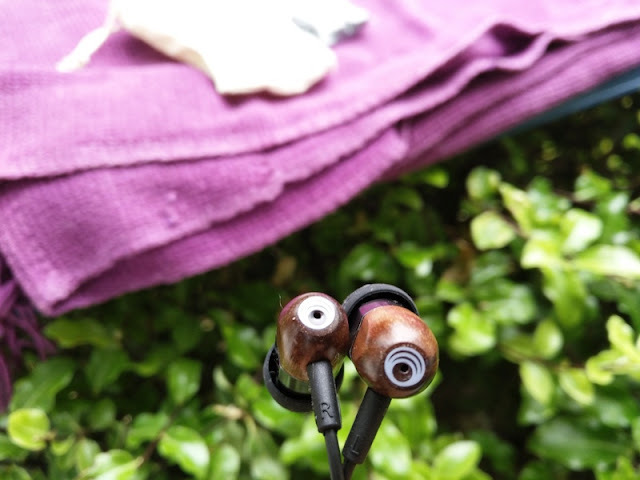 The TS03+mic in ears also feature 8mm dynamic drivers contained inside walnut-stained, hand crafted wooden housing. 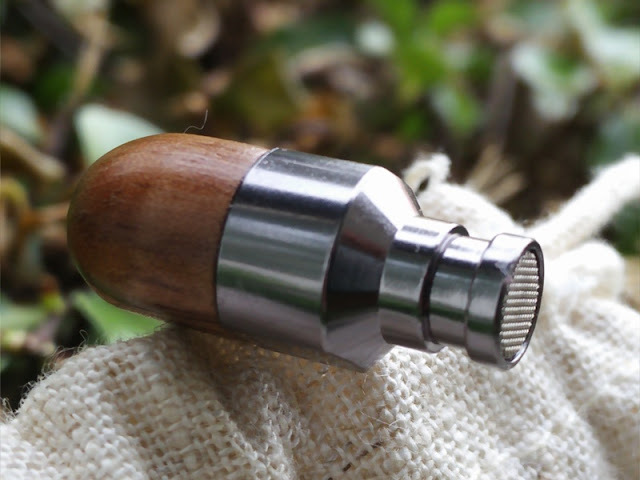 The aluminum nozzle tips integrate baffle filters to prevent sweat and dirt to enter the housing. 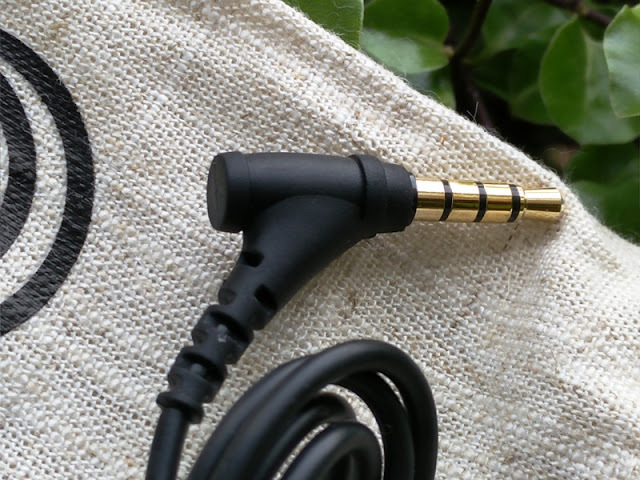 The 4-foot long tangle-resistant, PVC-free cable is reinforced with Kevlar material and ends in a 3.5 mm gold plated connector that is angled 45 degrees as opposed to being straight or right angled. The 45-degree angle of the TS03+mic connector plug definitely makes plugging and unplugging easier. 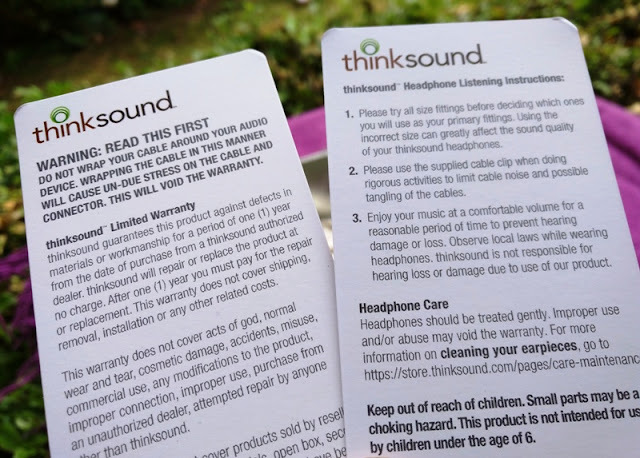 The circular hole on the back of the earphone housing vents air, allowing the driver to move air freely rather than just compressing it. This hole serves a similar function as the bass reflex you find on the back of a loudspeaker enclosure. 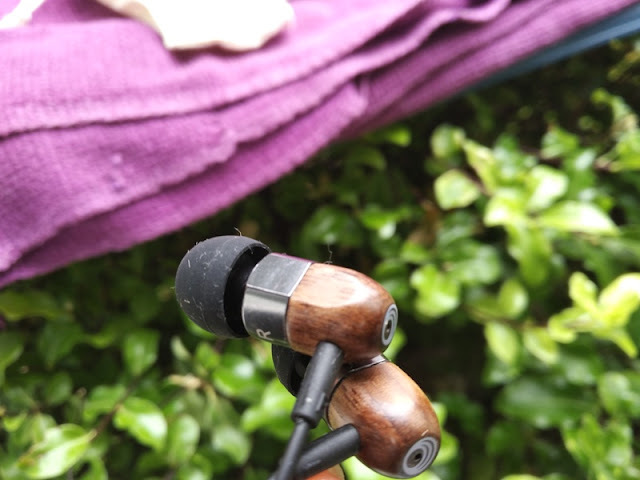 The TS03+mic wooden earphones also feature reinforced rubber bits at the junction where the earphone cable meets the earphone housing that should prevent premature tear and wear. 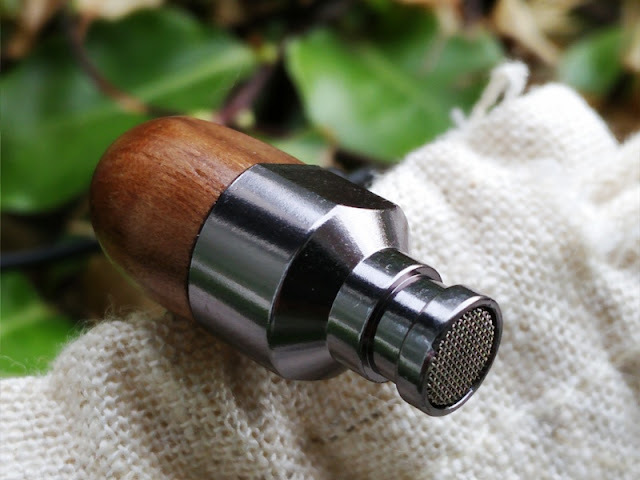 Integrated within the cable is a single-button control unit with microphone for hands free calling. 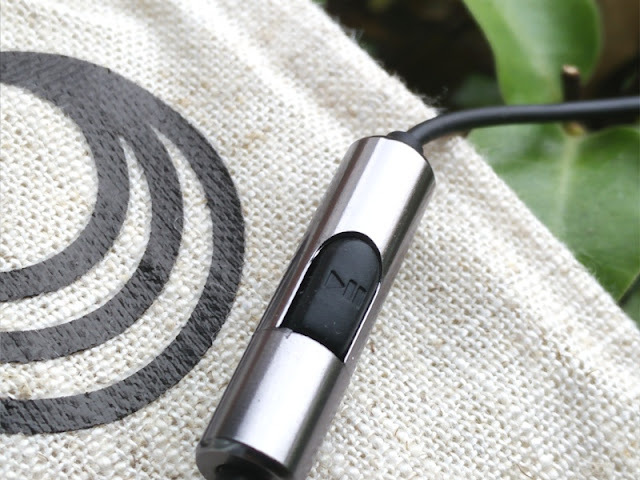 The single button plays and pauses music, as well as answer calls and it's compatible with Apple and Android devices. 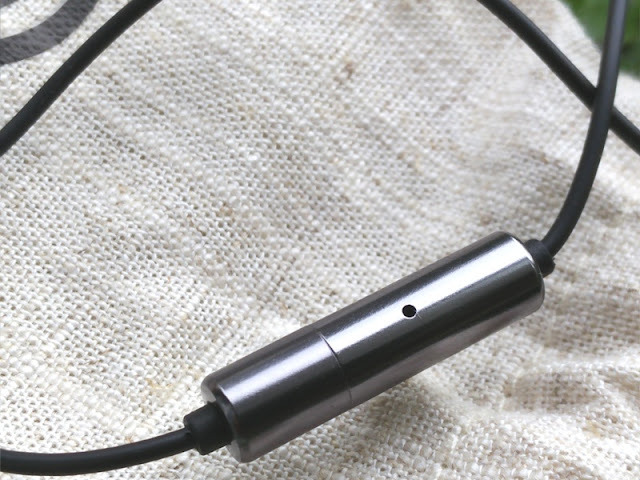 The ear tips included with the TS03+mic earphones provide a good seal inside the ear canals, which along with the wooden enclosure of the earphones passively cancels most outside noise. 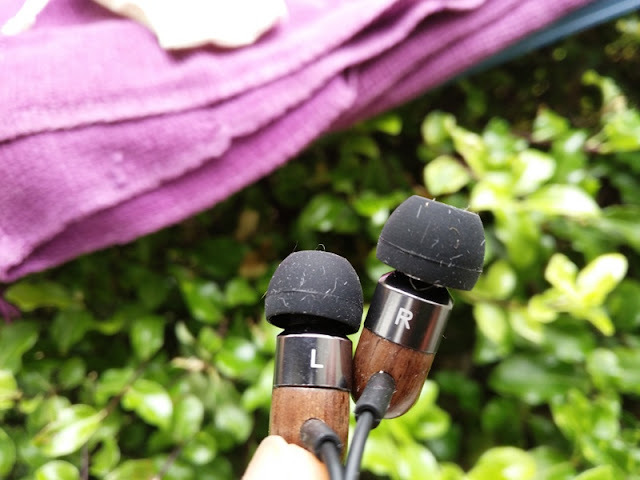 The TS03+mic earphones technical specifications include a flat frequency response, which means the TS03+mic earphones can reproduce range of frequencies between 20 Hz and 20 kHz. 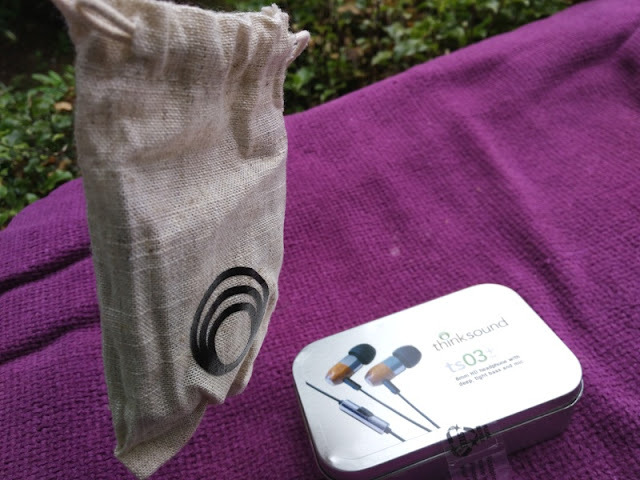 The 16 ohm impedance on the TS03+mic earphones makes them very easy to drive from a phone.